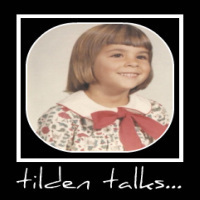 tilden talks...: Whose Chicken Is It? That rooster is always here. You just arent up early enough to hear him every morning. Even though I cant see him and dont know where he lives I have named him Veronica. I love the name Manda!!!! Roasted rooster with dumplings! Yum!